Northern Power Systems designs, manufactures, and sells wind turbines, and provides engineering development services and technology licenses for energy applications, into the global marketplace. The company was founded in 1974 and has since grown into a multinational corporation headquartered in Barre, Vermont, with European headquarters in Zurich, Switzerland and a significant presence in the United Kingdom and Italy. 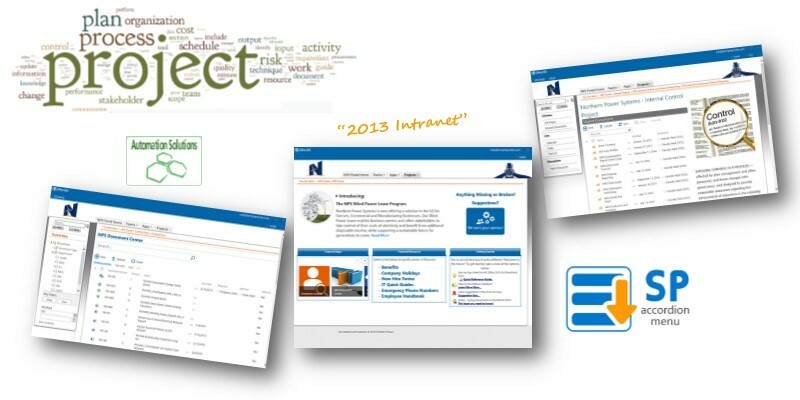 NPS had an on-premise 2010 SharePoint farm. Their goal was to upgrade to O365, and re-launch with an emphasis on applications. One of the key applications was regarding iso document management which was a sub-project of this migration. They had 2010 based document control system that stored and managed documents relating to the implementation, maintenance, and continuous improvement of an ISO 9000 QMS (quality management system). We discovered some Sharepoint 2010 process automation scripts that were undocumented and we reverse engineered these for a simpler solution within O365. We created a portal structure that would contain all their content and added branding to it to reflect their vision for a new modern site that was focused on apps. Working closely with their SharePoint administrator we reviewed the iso documents and came up with a taxonomy that would satisfy both the ease of placing documents into the system and for staff to locate them. This taxonomy was uploaded to their terms store, and a custom search results page was created. After migrating all of their data to office 365 we placed their on-premise SharePoint farm and the cloud farm and data synchronization. QA was then performed in several minor revisions of the document management system were put into place. Staff can now very easily find documents, and they can be uploaded using simply a browser into a folder. The folders are all pre-tagged with metadata some management of their enterprise content is extremely straightforward. As one of the oldest providers of SharePoint consulting services, we have been working with O365 since it was first released. That means we know all of the problems that get run into and how to fix or work around them. Contact us today so we can help you get the most out of SharePoint!